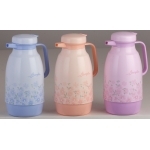 Kunshan Ruifeng Import & Export Co., Ltd is one of the leading manufacturers of thermos vacuum flasks, vacuum jugs, vacuum Bottles. Located in the International Service Business Park of Huaqio, We engage in the manufacturing and export of thermos bottle, thermos vacuum flasks, glass refills, thermal insulated containers and other related products. With highly competent management and staff, Kunshan Ruifeng Import & Export Co. Ltd has been able to establish its brand image among the mind of the customers. Working in this industry for such a long duration has enabled us to understand the overall dynamics of the market. We have been able to integrate the different functions from designing to production to the delivery of goods to the customer.